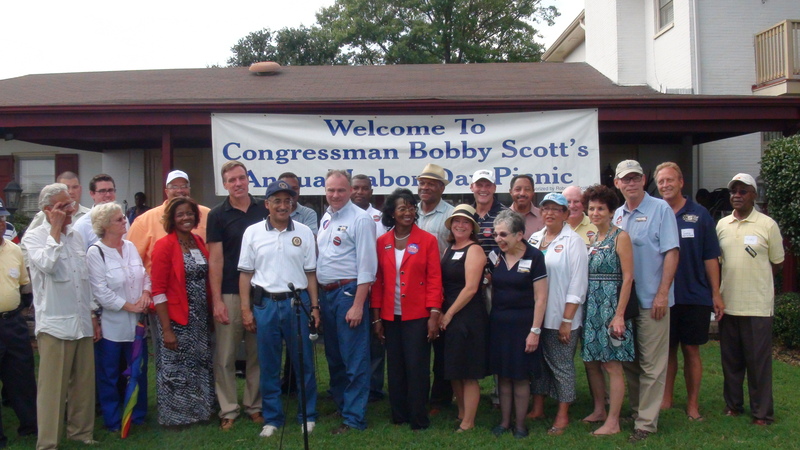 The rain held off today for Congressman Bobby Scott’s 36th Annual Labor Day Picnic. Although many Democrats who would normally be in attendance had already left for the Democratic National Convention in Charlotte, the place was still packed. Typically, Rep. Scott introduces all of the electeds and candidates gathered around him and then gives way to speeches by others. Monday, after doing the intros, Scott took a few minutes to make a speech of his own. He was followed by Sen. Mark Warner and then former governor Tim Kaine, who is in a close race for Virginia’s second Senate seat. As soon as I get the video edited for those speeches, I will post them. Although it was a bit warm, a good time was had by all. It was nice to see some old friends and meet some new ones.